The American Institutions in French. LDF Notes: Finally a book that explains clearly and in French, the fundamental institutions of the US government and its inner workings. 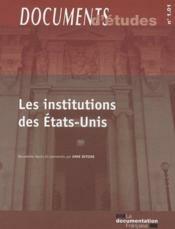 Notes LDF: Enfin un livre pour expliquer clairement les principes de base et la strusture de fonctionement du gouvernement americain. Description: Soft Cover - 64 pages - 8.5 x 11 in.